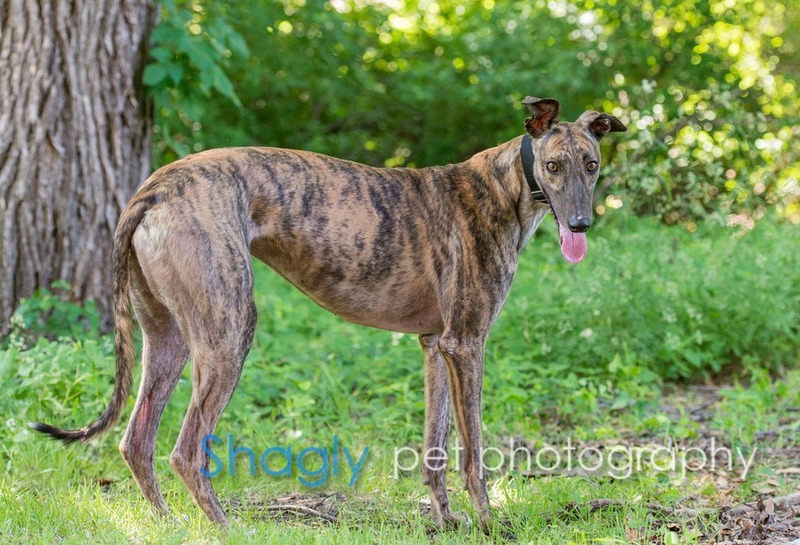 July, aka WWK Cold July, is a 4-year-old brindle female born April 13, 2010. Her sire is Kiowa WW Brother and her dam is JG's Cold War. 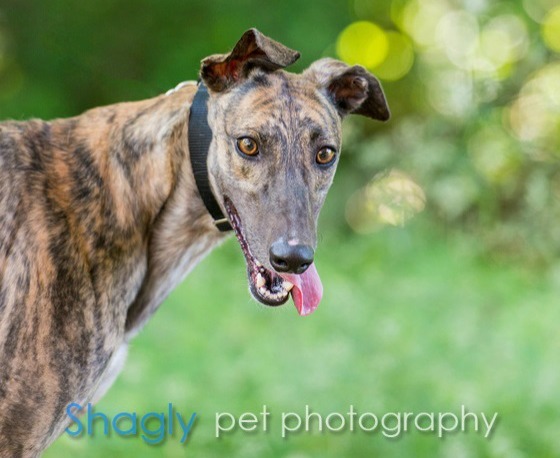 She has 129 races on record at Greyhound-data.com, all at Florida tracks, starting in July 2012 and finishing up in April 2014. Come meet our very own "Miss July" soon, she's gorgeous! July was in a home for a couple of months, but had some separation anxiety as an only dog. July should not live with cats. While I have only had July a very short time, I can already tell you that she is already one of my favorite foster girls! She came into the house, and it was as if she had been in a home already, except she hadn't. She has not had one accident in the house. She does not counter-surf, does not want to get on the furniture, and walks great on a leash. She is like my shadow and she is never far away from me when we are in the house. She loves to gives kisses! When I return from work, she is so delighted, she bounces around and gives a lot more kisses. She is interested in toys on her own play schedule, but she doesn't destroy them. Finally, I introduced July to my three greyhounds girls, and they instantly bonded. 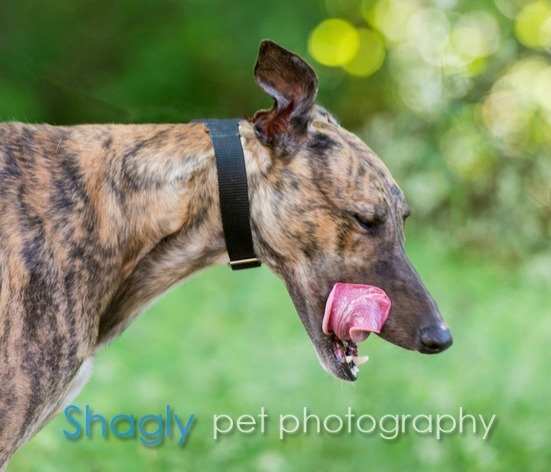 If you are considering a sweet greyhound, July is the girl for you. She also loves children. July would not be a candidate to be in a home with small dogs or kitties.